The Washington Leadership Program (WLP) offers something for all majors and interests. You’ll get an insider’s view of D.C. and be challenged to think of government in new ways while learning from experts and gaining valuable professional experience. You’ll register for 12 academic credits during your semester in Washington, D.C.—three credits each for two required seminars and six credits for your internship. Classes are held to the same high academic standards as on-campus classes, and they include reading assignments, research projects, writing requirements and exams. Outside speakers and field trips are also part of the curriculum. Professor Donna McLean with spring 2019 cohort member Jorge Hutton. If you are interested in participating in WLP, speak with your academic advisor for your major to find out how WLP classes will fit into your graduation plan. If you are an international student, you must attend an advising appointment with the IU Office of International Services before applying. This course covers the federal government and funding process and meets one evening per week. It is designed to give students an understanding of how the federal government operates and who influences it. Course content includes analytical perspectives of the policy process, the centers of policy, and the public interest. Selected cases involving problem analysis and decision making on public issues are included, as well as discussion of current policy issues. This course focuses on current events and general politics and typically meets Friday morning. 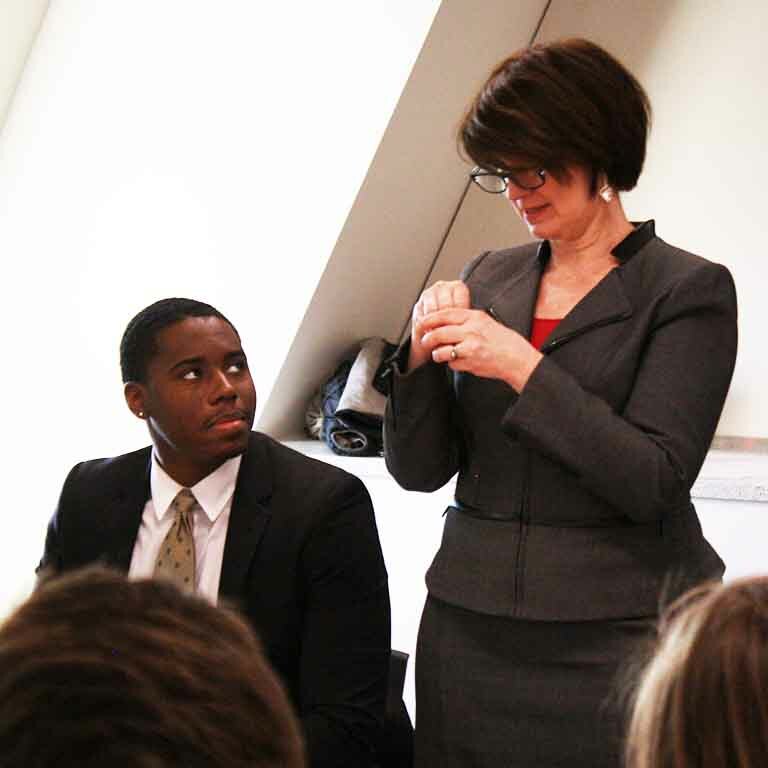 Students hear lectures from policymakers and officials at a variety of organizations, getting an insider's perspective of the diverse opportunities Washington, D.C. has to offer. Internships are an integral part of the WLP experience. Students may register their professional experience for academic credit upon meeting WLP program criteria. Prior to forming Donna McLean Associates—a consulting firm specializing in transportation policy—McLean was Assistant Secretary for Budget and Programs and Chief Financial Officer of the U.S. Department of Transportation (DOT). She also served the DOT as the Assistant Administrator for Financial Services at the Federal Aviation Administration beginning in 1999. She was a professional staff member of the Aviation Subcommittee of the House Transportation and Infrastructure Committee in the U.S. House of Representatives and was involved in establishing the Transportation Safety Administration (TSA). McLean has also worked at the Office of Management and Budget on the president's budget and regulatory agenda. 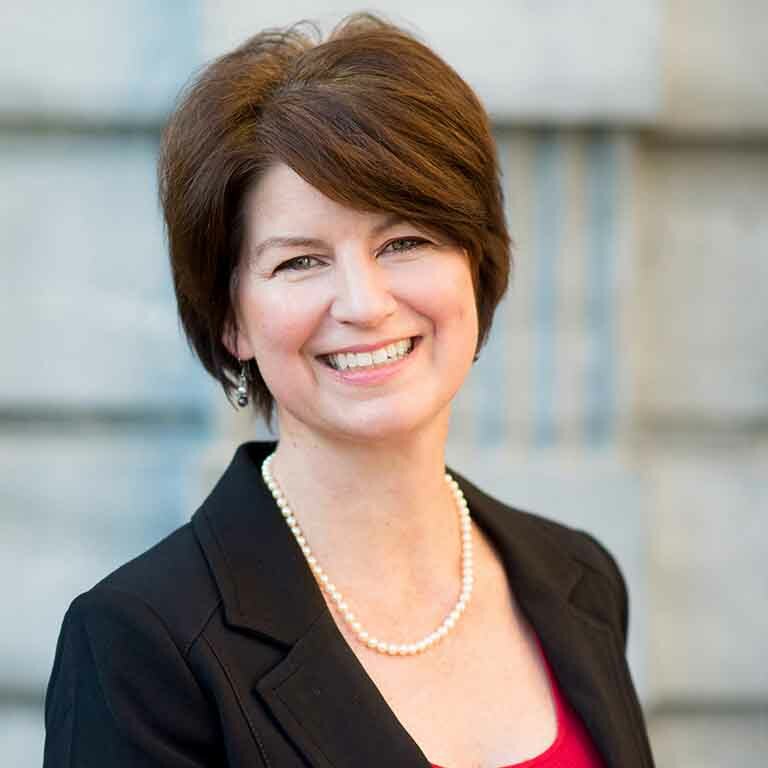 She is a preeminent authority on transportation trust funds and transportation funding issues. She earned a bachelor’s in political science and a master's in public affairs—both from Indiana University.